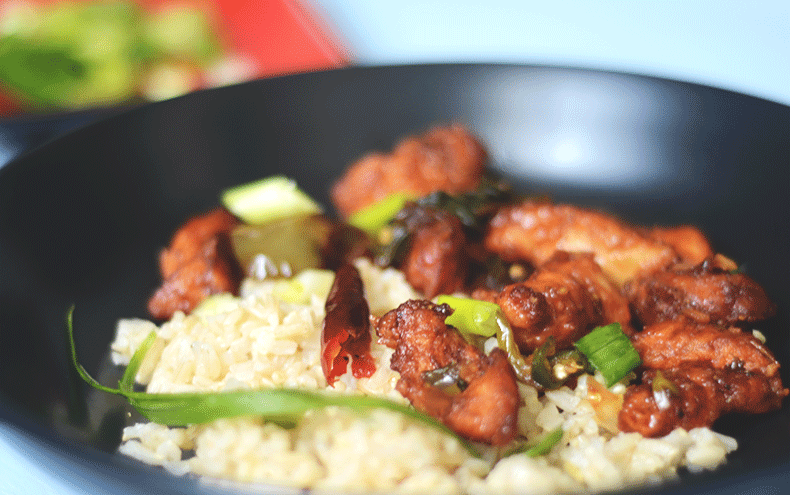 Chili chicken is an Indo-Chinese dish–crispy fried nuggets of chicken cooked in soy sauce flavored with garlic and ginger and a whole lot of fresh Thai green chilies. 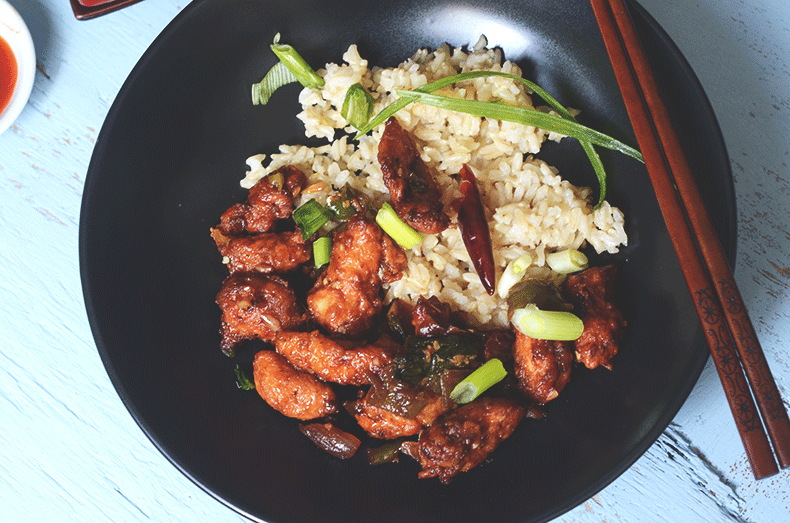 Chili chicken is to India what General Tso’s chicken is to USA–not Chinese at all, but totally the most popular Chinese dish in the country. 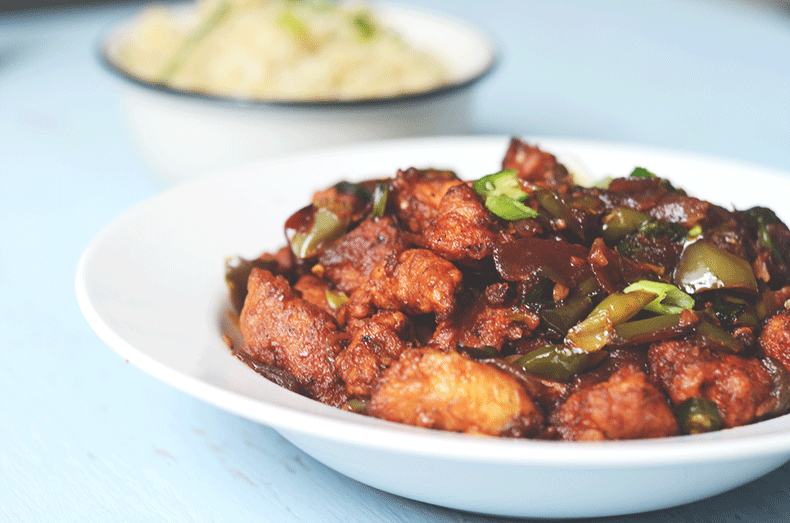 I think it is safe to say that chili chicken was invented in Calcutta, because Calcutta has the only China town in India. 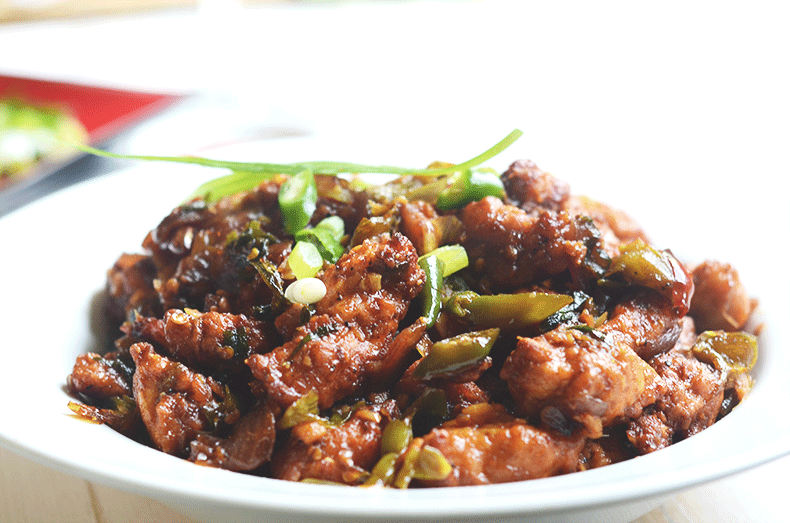 In India, we all love dry chili chicken and its bits of lively green chilies. The insanely fiery sauce of dry chili chicken makes this dish a perfect bar snack. But what I love most is Kolkata’s China town for the numerous happy hours I have spent with my friends there and the volumes of happy memories that I have come to associate that place with. The last time I went to China town in Kolkata was exactly two years ago. I miss the ambience and my friends too much, but lucky for me that I won’t have to miss the dish anymore (this recipe is an exact replica). A wise person once said that if you have spent a couple of hours in China town with a friend, drinking beers and eating chili chicken, then you have bonded for life. I believe that’s true; or at least I hope it is. In a large mixing bowl thoroughly mix all the the ingredients listed under “for frying” except oil, cover with cling wrap and refrigerate for 1-2 hours. Heat enough oil in a frying pan and fry the marinated pieces of chicken in batches, making sure not to crowd the pan, until golden brown (takes about 7-8 minutes depending on heat). Remove and drain on paper towels. Heat 1 tbsp of canola/sesame oil in a wok or a fresh pan, and add garlic, ginger, chilies and cook for 30 seconds or until fragrant. Add the onion and bell pepper and sauté over medium to high heat for 3-4 minutes. You don’t want to cook them down. Add soy sauce, vinegar, chili sauce, cracked black pepper, and sugar, and stir vigorously. Add the fried chicken pieces and stir to evenly coat them in the sauce. Remove from heat and serve as appetizer or with steamed rice.